UNRWA finds another rocket stockpile at one of its schools in Gaza, the third time since the beginning of Operation Protective Edge. The United Nations Relief and Works Agency (UNRWA) announced on Tuesday that another rocket stockpile has been found at one of its schools in Gaza, Breitbart reported. This instance marks the third time since the beginning of Operation Protective Edge that a weapons arsenal has been found at an UNRWA school in Gaza. UNRWA has yet to place blame on any individuals or organizations for placing the weapons stockpile within a children’s school. The UN body refused to do so on the past two previous occasions as well. 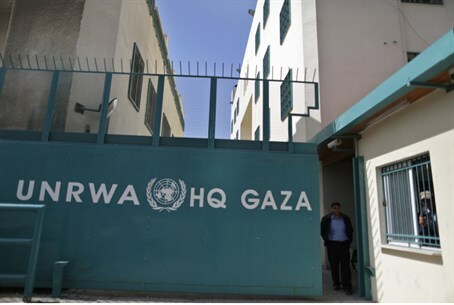 UNRWA spokesman Chris Gunness condemned those responsible for placing civilians in harm's way by storing the rockets at the school. "We condemn the group or groups who endangered civilians by placing these munitions in our school. This is yet another flagrant violation of the neutrality of our premises. We call on all the warring parties to respect the inviolability of UN property," Gunness said in a statement quoted by the Reuters news agency. Hamas has openly used human shields in its latest conflict with Israel. The terrorist group has also issued a statement urging Gaza residents to ignore IDF warnings to evacuate their homes.